Those we have held in our arms for a little while, we hold in our hearts forever. May you find comfort knowing that your pet is in the arms of an angel. 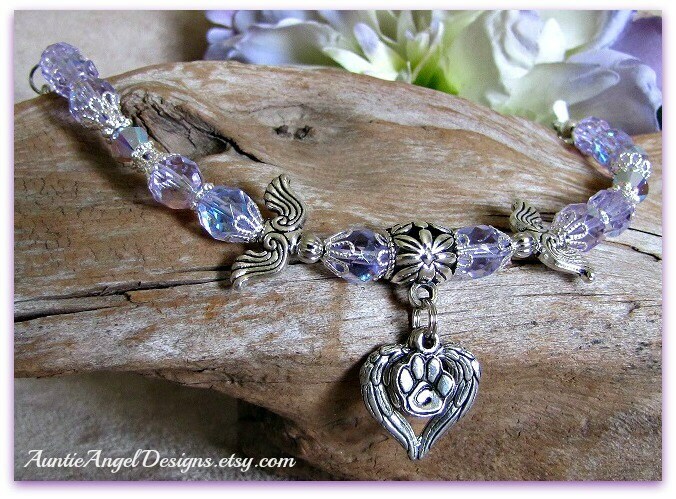 This sweet and magical piece will remind you of your beloved pet's beautiful spirit. No one can ever take away the memories and the love you shared, for love never dies. 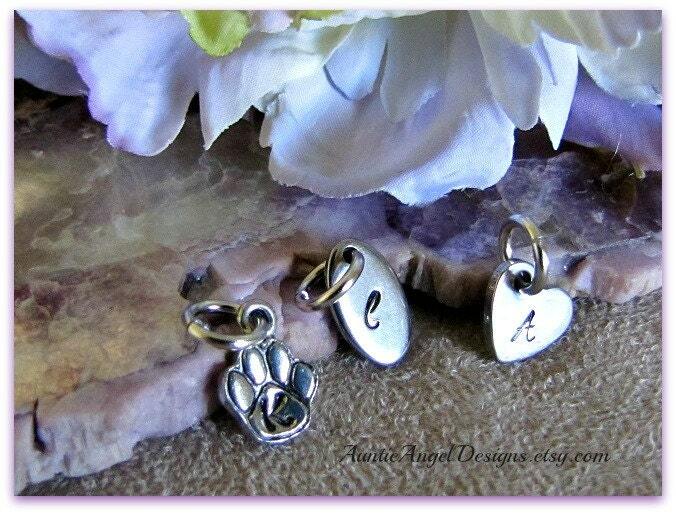 The "Arms of An Angel" pet memorial tribute bracelet, by Auntie Angel Designs, showcases a double-sided pewter angel wings open heart charm from which a pewter one-sided monogram paw print charm floats on top. Each charm is suspended from a bright pewter flower-scrollwork bail. This bracelet is strung with gorgeous Alexandrite crystal-faceted beads which, depending on the light, either look light blue in color or light lavender in color. 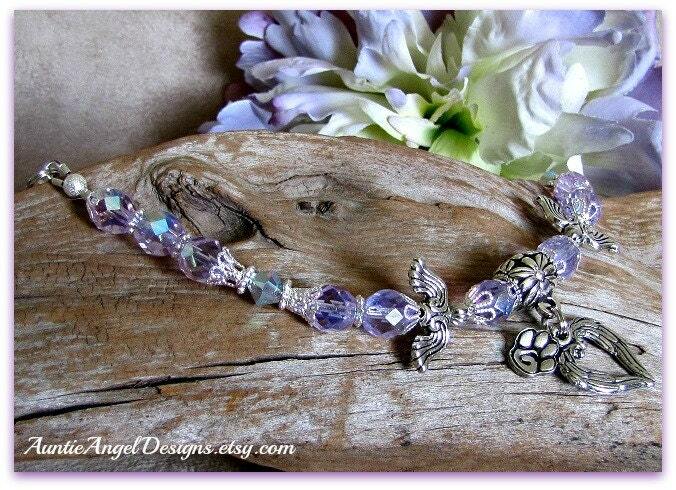 Genuine AB-finish Swarovski crystal-faceted cyclamen opal bicone beads appear among fine, bright silver-plated filigree bead caps and bead spacers and two pewter angel wing beads. This sparkly piece is finished with a pewter heirloom-style toggle clasp. Note that depending on the size bracelet you purchase, there will be more or less bead components used to ensure a near-perfect fit. 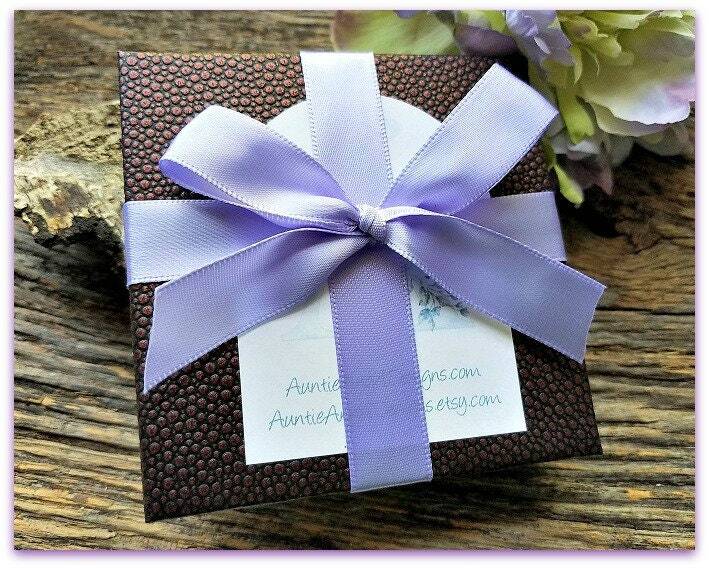 The "Arms of An Angel" pet loss bracelet comes in its own gift box with ribbon and is ready for gift-giving. 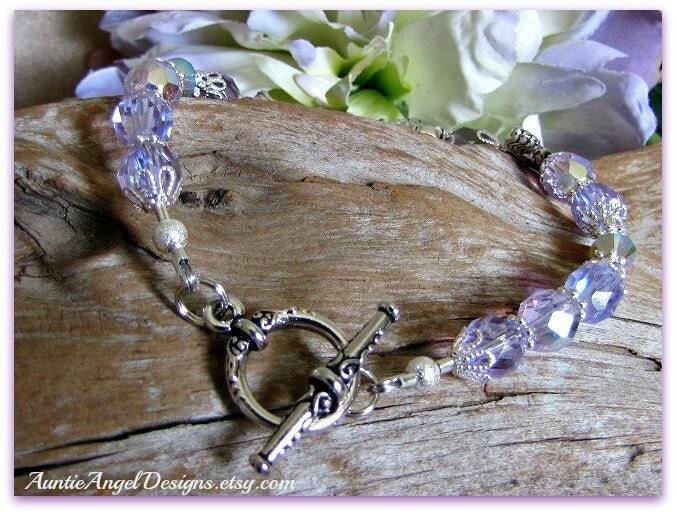 bracelet is beautiful..the crystals really catch the light nicely. Absolutely gorgeous bracelet. Jean does beautiful work. I bought this to remember the dogs I've loved and lost in the past, it gives me something I can wear to remember my fur babies. It's a beautiful bracelet, well made. Thank you. Bracelet is beautiful and even prettier in person.